To start, we love the premise of 121 First Dates. What inspired you to write an autobiography/guidebook that focused specifically on first dates? I never meant to go on 121 first dates, and I certainly never meant to write a book about it! It all started with first date 54. It was so horrendous and so miserable; it was so much worse than anything that I had ever read about in terms of a “bad” date that I had to write about it. At the time, my married girlfriends were complaining about how boring their lives were and how unromantic their husbands were. Since I didn’t have a blog, I actually started writing for them, just to keep them happy and to tell them that the grass isn’t always greener on the other side. So I wrote about that particular date, and it was a hit. I continued to write about my dates, just to share where they went wrong or where I went wrong, where it felt right or where we had a moment of victory and shared something really great. What’s the best first date you’ve ever been on? Well, I would have to say first date 101 is the best; he’s actually still a good friend of mine. I’ve had lots of great first dates. I’ve met a lot of amazing men who, while they weren’t my man, were great. And the worst first date? Like I said above, date number 54 was the worst date. See, I like older men, so I usually go for guys who are five to ten years older than me — that’s my preferred age range. According to his online dating profile, this guy was about 10 years older than me, but when I got there, he was more like 35 years older than me and had a cane. He was hobbling across the street, and he was wearing this kind of beige leisure jacket with wine stains and grease and a wide 70’s lapel. I was so caught off guard, but I didn’t want to be rude. So we sat down, and he grabbed the menu and encouraged me to order some food. I only planned to have drinks, but at his insistence, I ordered the house salad. He didn’t talk very much, which usually only happens when a man doesn’t like you; he makes you do all the entertaining and heavy lifting in the conversation. The thing was, he did like me, which made it even worse. I was ready for it to be over, and of course, he sticks me with the bill. I ordered a 6 dollar house salad and ended up paying the 35 dollar tab. That was first date 54. I’ve had way better, but I haven’t had any worse. Now, we’d love to ask you for some dating tips! What relationship advice do you have for women who want to give up on their search for love? Don’t wait until you’re ready. You want to wait until the new year, until that work project is over, or until you’re done with school. You want to wait until the timing is right, or even worse, until you lose the weight. Don’t wait! If I would’ve waited until I lost the weight, I would still be single. You’re never going to feel like you’re ready for this new, fun adventure. Just go for it! Along those lines, was there any tip that really helped you stick with it when you were feeling down about finding a relationship and love? I had a dating buddy, which I highly recommend. I acutally had three of them, two girls and one guy. They were all single, and they all wanted to be in a relationship — two important qualities in a dating buddy. A terrible dating buddy is someone who is married or attached because they don’t remember what it was like to date and don’t have enough sympathy. Another terrible dating buddy is someone who loves being single. Find someone who’s in a similar place in their own life and then promise each other that you’ll have each other’s back, that you’ll be there to listen to all the horrific details of every date, and that you’ll be straight with each other. What’s the best love advice that you’ve ever received? The best relationship advice that I’ve ever received is to relate to your partner like they mean well and like they care about you. In the three years that Dave and I have been together, we’ve always treated each other like no one’s misbehaving, and by doing that, we’ve never been in trouble with each other. Lastly, do you have anything else you’d like to share with our readers? Well, I have a 20-city book tour happening. I’m really excited about that. I’m leaving for San Diego, and I’ll be on the road until May. That’s my life for the next six months! 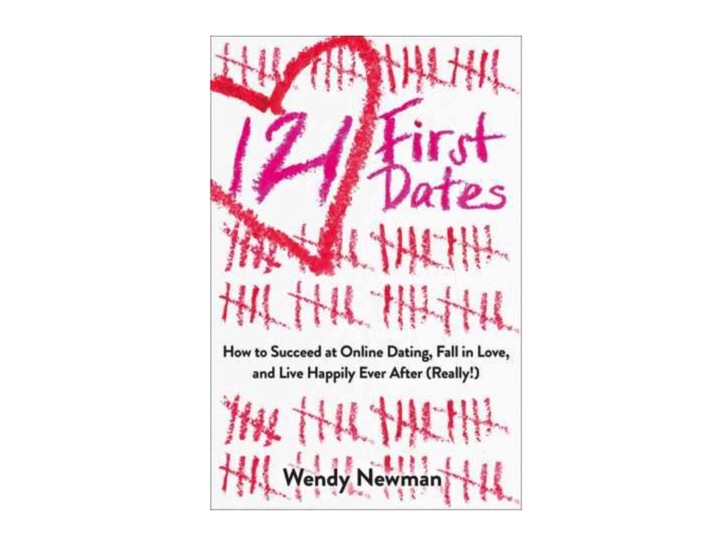 You can learn more by purchasing 121 First Dates: How to Succeed at Online Dating, Fall in Love, and Live Happily Ever After (Really!) from Amazon and also visiting the author’s website, Wendy Speaks.